Fill out the form below to book a table. Once you have selected a time, click "Book Now" to enter in your details to complete your booking. For parties of 7 or more, please call on 020 7350 0555. No times are available on this date. Please try a different date. Please note, during busier days any reservations made for lunch, brunch or early dinner (up until 18:45) are allocated for a duration of 90 minutes. Tables booked from 19:00 onward will get two hours at the table. If you can’t find what you are looking for please call us! Nutbourne Bar & Restaurant is located in Ransoms Dock on Park Gate Road, near Battersea Park. It is brought to you by the Gladwin Brothers, who present "local and wild"- a secret haven of Sussex countryside just south of the river in London. The menu features British seasonal produce with an emphasis on wild, foraged, locally grown and sustainable use of livestock from the Gladwin’s own family farm. Dining is available on the terrace by the dock or in our cosy interior by the wood fired BBQ grill. Do join us for a drink in our cocktail bar before hand. We are open Tuesday to Saturday for dinner Saturday and Sunday for breakfast and Sunday lunchtime; or pop in for coffee or drinks at anytime. Please also ask about our outdoor catering service. 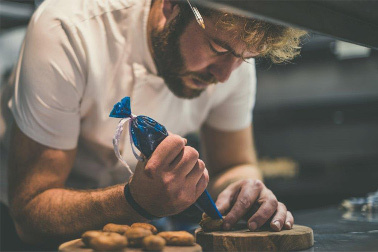 Chef Director, Oliver Gladwin creates seasonal menus that demonstrate his flair for simple, inspired, wild food. His team at Nutbourne is led by Head Chef, Jakub who's dedication and loves of cooking shows in every dish that is served. Nutbourne is a local restaurant serving the locals and visitors alike with something very special every day. 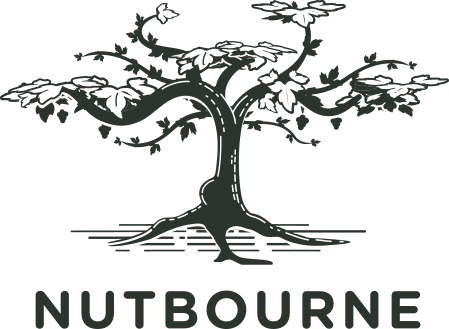 Nutbourne takes its name from our family farm and vineyard in West Sussex where we grew up learning about produce from the land, wine making and inspired cooking. 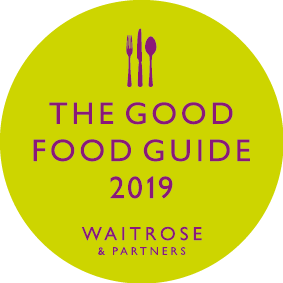 Today we serve our own meats, local fruits and vegetables, South Coast sustainable fish and, of course, our award winning range of Nutbourne wines. These wines are from our own family vineyard in West Sussex where we have just under 10 hectare of vines producing up to 40,000 bottles per year. Our wines have received many national and international accolades including 3 international gold medals for the nutty brut. We believe they are a perfect companion to fine Sussex food! ‘What grows together goes together’. The bar is small and mighty but focuses on the best of British. Our bartender is happy to recreate your favourite cocktails using these British spirits. 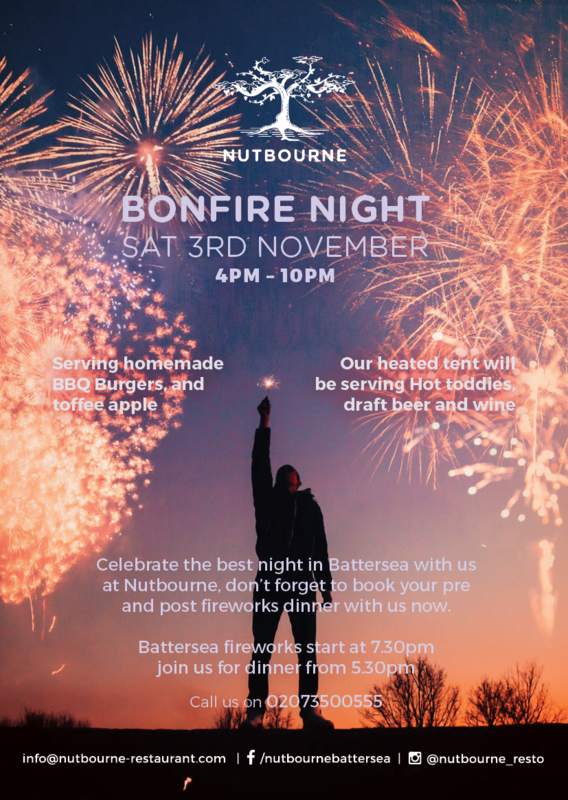 Come celebrate Bonfire night on Saturday the 3rd of November at Nutbourne. Serving homemade BBQ Burgers and toffee apple. 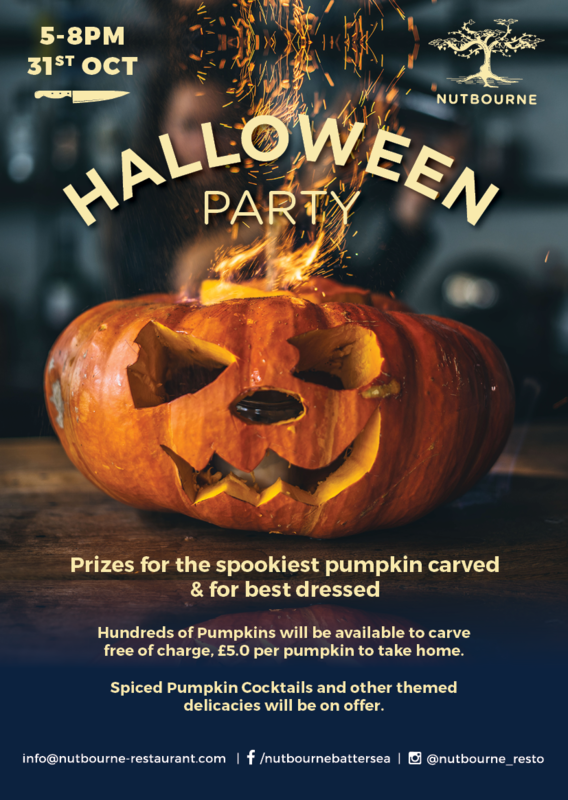 Come and celebrate Halloween on the 31st October at Nutbourne. There will be prizes for the spookiest pumpkin carving and for the best dressed. We are available for Private Events on Monday. The Shed is available for private hire on Sunday lunch. Be it your family’s get together or a party for friends, The Shed on Sundays can accommodate. Available for sit down lunch (20 to 70 people) or standing (up to 120 people). Call us today to talk to us about your next bash! The Gladwin brothers grew up with outdoor catering, from a dinner party at home to wedding receptions in the Home Counties and even your latest product launch, do email [email protected] to talk about your next big event. 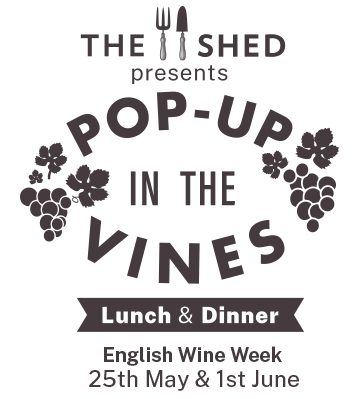 The Shed restaurant invites you to dinner and lunch amongst the serene Nutbourne vineyard of West Sussex near Pulborough. Whole tables can be booked for groups of 6,8,10,12 and smaller groups are welcome. For £45pp, join us either at midday or early evening on the 25th May or the 1st of June. 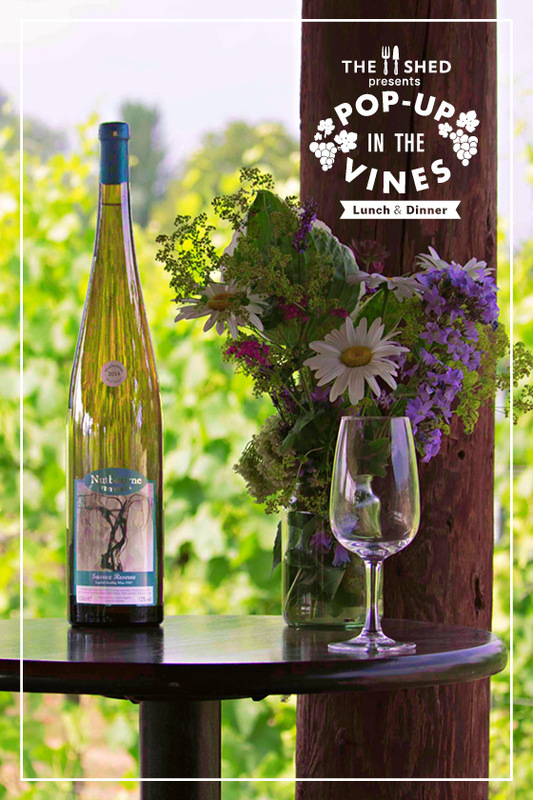 Included in your visit is a welcome glass of wine, a tour of the vineyard and winery followed by an unforgettable wood fired 3 course set menu with local & wild ingredients from our very own farm. Email us to book now!